We are a sub S corp and I'm wondering if I'm reading this right. 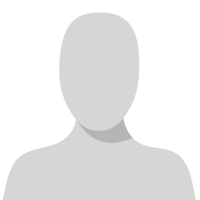 Contributions by the company to a 2% shareholder/employee's HSA are taxable, correct? Are a 2% shareholder/employee's contributions deducted pre-tax or post tax? We're an S-corp as well. A 2% shareholder's contributions to an HSA must be post tax. However, you can deduct the contributions on your tax return, so it ends up being almost as good as a regular employee's pretax contribution. Ok, I get that the companies contribution to a 2% employee/shareholder is taxable, but what about the employee's contribution from his paycheck? Is that deduction taken pre or post tax? 2% Shareholders can contribute into their HSA but it's POST tax. It all shakes out on their tax return. The employee's contribution from his/her paycheck is pretax. 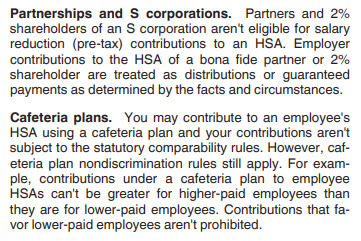 Yes, company contributions to a 2% or greater shareholder's HSA account is post-tax. They are also ineligible for an HRA account (if you have one of those). With our HSA I add the company contribution portion to everyone's income. Then for the HSA deduction the company portion and or any additional amount are deducted pretax like 401K. So essentially it nets out to $0 if the employee only doing the company portion?? If the employee is depositing more they would get the immediate tax break. Let me know if this works or am I missing something?